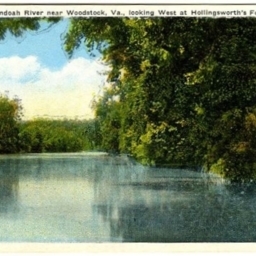 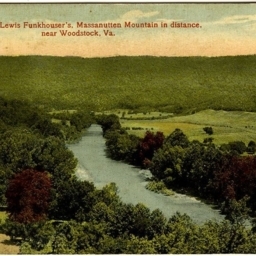 Color postcard with a picture of the Shenandoah River at Hollingsworth's Ford located south east of Woodstock Virginia. 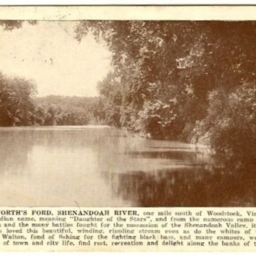 Postcard with a picture and description of the Shenandoah River at Hollingsworth Ford located southeast of Woodstock Virginia. 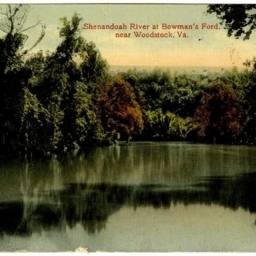 Shenandoah River at Bowman's Ford near Woodstock Va.
Color postcard with a picture of the Shenandoah River at Bowman's Ford whose exact location is unknown. 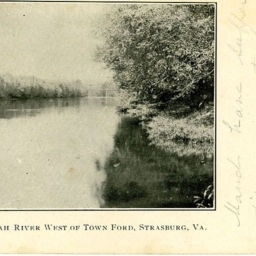 Shenandoah River West of Town Ford, Strasburg, VA.
Postcard with a picture of the Shenandoah River west of Strasburg at the Town Ford.